AlyssiaRose: Summer in the City! 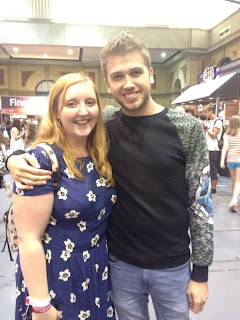 Last weekend I travelled all the way to London to attend the Summer in the City Youtube gathering! Something that not a lot of people know about me, is that I am addicted to watching Youtube videos. I follow most of the big ones, and regularly watch their videos. Also if you read this blog regularly then you will know that I have recently started making gaming videos over on my gaming channel. However I have also been making Youtube vlogs/sketches on and off since 2008. Making videos is certainly a passion of mine, and I keep restarting my channel, only to not be 100% happy with it and take it down again. However being in London last weekend, surrounded by some of my biggest inspirations, I've realised that life is too short. and with that in mind over the next week I am going to be taking the leap into finally making Youtube videos regularly! Anyway onto my actual time in London! We arrived on Friday night, and had a nice wander around the shopping center near our hotel, before attempting to catch an early night before the first day of the convention! For some reason we both awoke at 7am on Saturday, and we were at the venue before 9:30, when the doors didn't even open until 11am! After the panel I found the courage to go up to her and grab a quick photo, before wandering around the exhibition area! whataboutadam, A beautiful irish gem! Sunday was even more crazy that Saturday, and we spent the most of the day with our two friends Hannah and Aimee, and we managed to meet a fair few people! I can't believe I met Charlieissocoollike! Liam Dryden is such a gent! Lukeisnotsexy. Or as I like to think, Lukeismostcertainlysexy! Tish and Hannah having a bit of a moment! I was seriously fangirling over meeting the guy in the photo below, he is such a fabulous guy, and he makes me laugh so much! Me and the FABULOUS Tyler Oakley! Tish ran into makeup guru Emma Pickles! I managed to track down Cherry Wallis! She is such a beaut! And FINALLY I ran into TimH, who is my new fav film-maker! Overall it was an amazing weekend and it was totally surreal to be rubbing shoulder with all my favourite Youtubers! I know they are real people, but having watched these people for a long time, it was surreal to say the least! Especially when we were eating in Nando's on Sunday night and Meekakitty, and Nanalew walked into the Nando's we were in... TOTALLY WEIRD! But also super cool! So as I said above, I am going to start being more serious about Youtube, and I'll be posting more about all that very soon! Hope you enjoyed this photo heavy post! That pic of you and Tyler is soo cute! 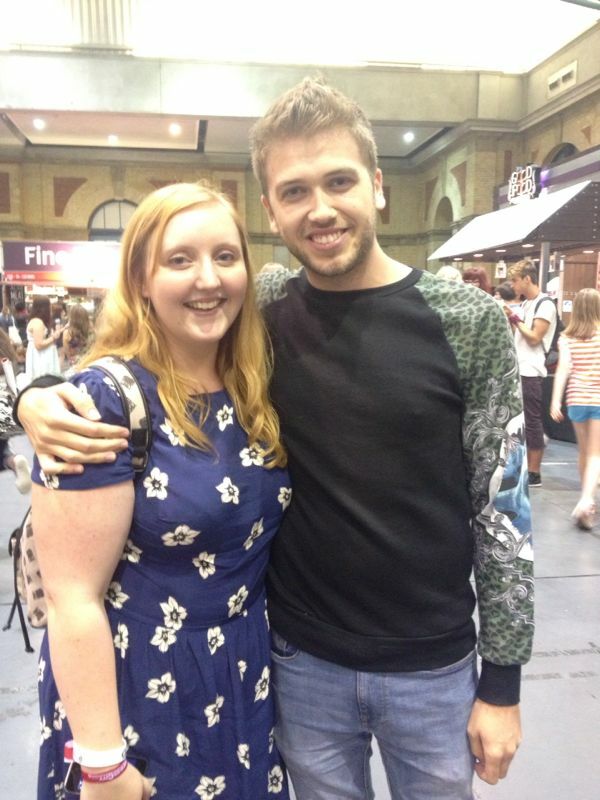 Soo lucky you got to go SITC. UPDATE: 22 Before 22 List!